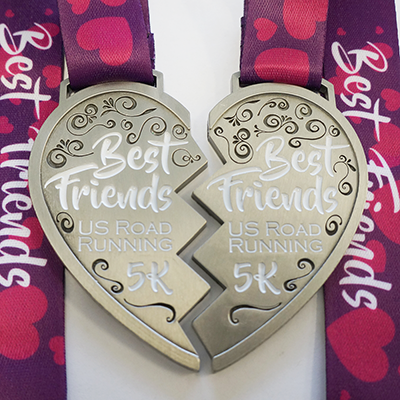 Run/walk a 5K with your best friend and have your best friend run/walk the other half. Only the person registering will receive credit for the 5K club. Two 3 inch medals with 1 inch colorful ribbon.